Hundreds of thousands of people know the thrill of skiing down Niseko Mt. Resort Hirafu in winter but only a few hundred have had the chance to ride down the Grand Hirafu Mountain Bike Park – this looks set to change. 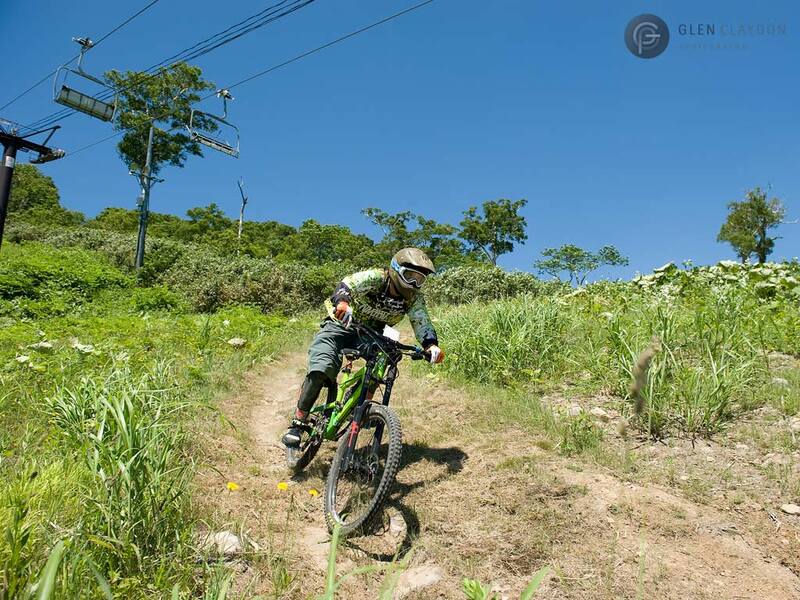 Now in it’s 2nd year of operation the track is steadily improving and the number of downhill mountain bikers visiting Niseko to ride the 3.5km track has more than doubled this year. Here is a single take helmet view of the ride down. 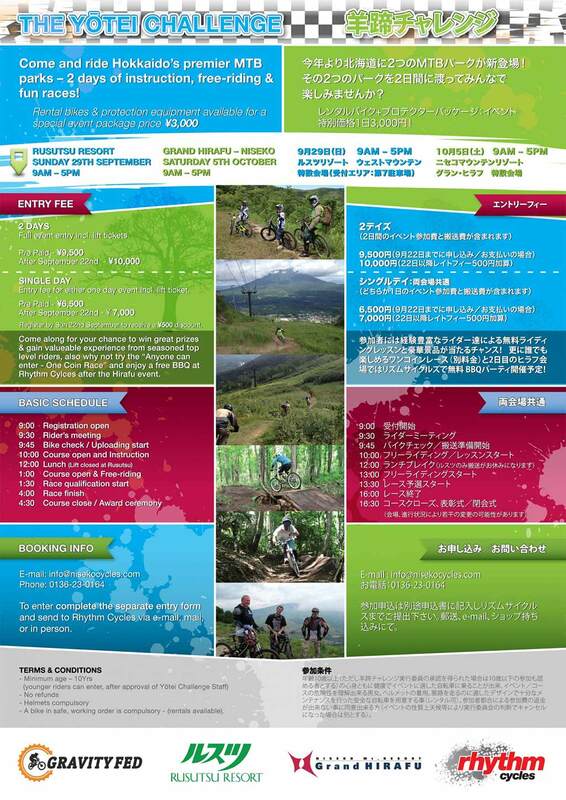 Today Rhythm Cycles and Rusutsu Mountainbike Park will hold the first stage of the Mt.Yotei Challenge at Rusutsu Mountain Bike Park. Next week on the 5th of October the 2nd stage of the event will be held in Niseko Hirafu.